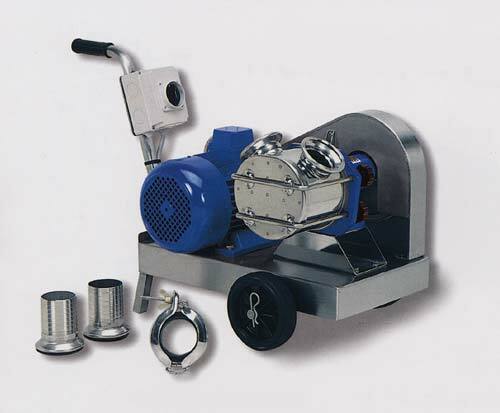 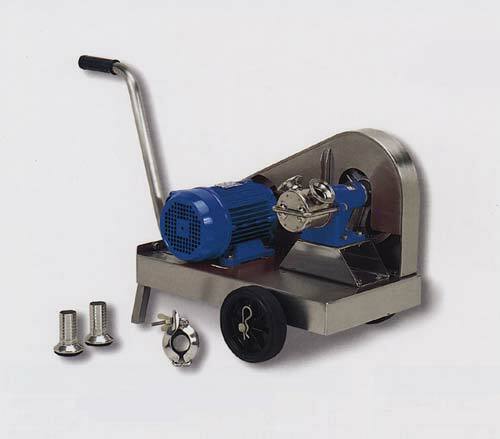 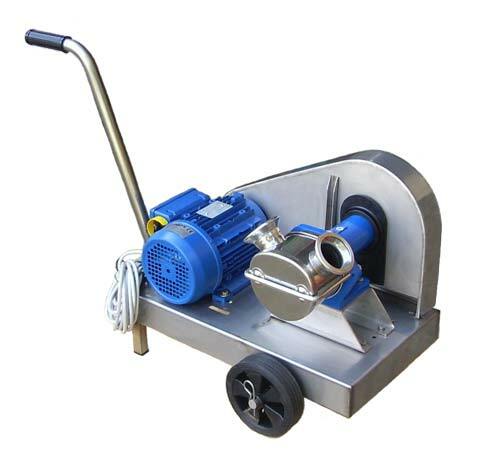 Self priming, belt driven pump. 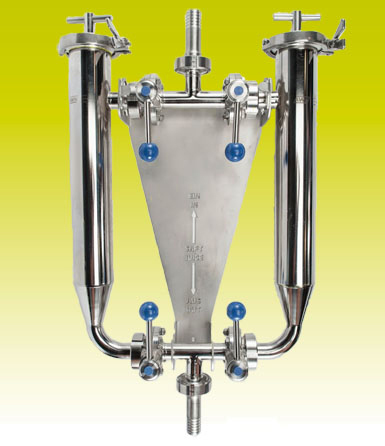 Suitable in food, pharmaceutical and chemical industry. 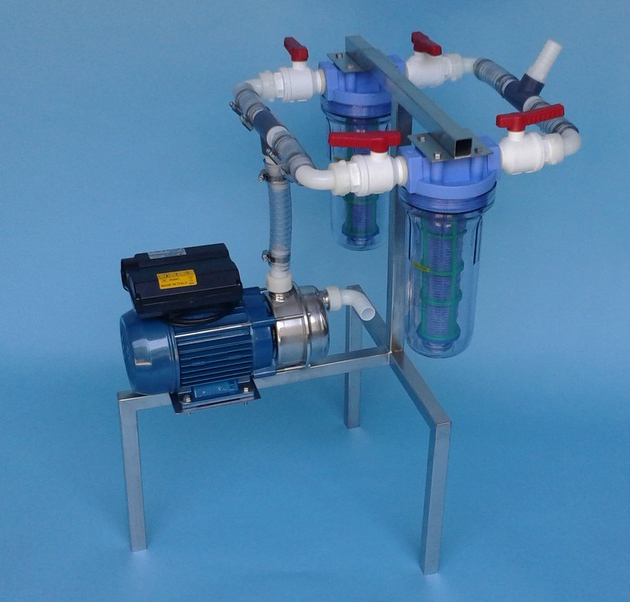 Compact unit with two filter housings.